Let’s face it: almost nobody looks companies up in the phone book anymore. Whether you’re a local or national business, you’re probably aware that people are largely finding your business online, be it through your own website or through third-party sites like Amazon or Yelp. Marketing channels such as word-of-mouth still play a huge part in growing a business, and old-school promotional tactics such as direct mail still have a place in the game, but if you’re looking to grow a business in 2017, you’re going to want to show up on the search results pages when people look for what you offer. Hence, the SEO world’s interest in tracking keyword rankings. You may have heard this general phrase thrown around by your colleagues or digital marketing consultants before, but how are these mystical keyword search rankings determined, and how do you keep track of them? Keyword ranking positions are simple to understand. Basically, what rankings measure is where your site shows up on the search page for any given keyword. How Are Keyword Rankings Determined? It’s pretty straightforward: your page is ranked according to how relevant it is to the searcher’s query (keyword). So, as a coffee shop in Austin, TX, your site is going to be very relevant for that particular query, and will likewise rank well as long as other SEO factors are solid. However, your website just is not as relevant for someone searching “restaurants Austin TX”, because search engines realize that your café is not the best possible match for what a searcher is looking for when they search for a restaurant. Can you game the system and hire an SEO firm to help your coffee shop’s site rank #1 for restaurant-related searches? You can try, but fair warning: failing to fulfill a searcher’s expectations by promising the answer to their query but not delivering is a dangerous game. When visitors don’t find what they’re looking for, they will likely bounce right off your site, and your rankings will suffer. Don’t stretch the truth – focus on your rankings for search queries that you can confidently fulfill. Why Should You Care About Checking Your Keyword Ranking Position? As we all know, the best place to hide a dead body is on the second page of Google. 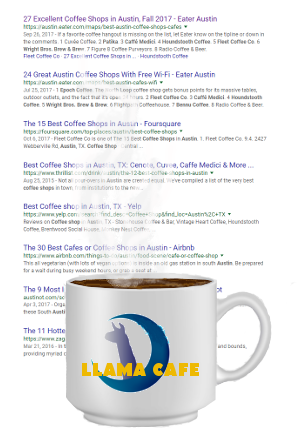 Continuing with our coffee shop example, then, your business is essentially not showing up to anyone searching for “cafes Austin TX.” The websites on the first search engine results page receive almost 95% of web traffic, so not many people are going to find you on that 5th page. Don’t let your site be the dead body. Tracking your average keyword rankings is a straightforward way of monitoring your site performance and comparing it to that of your competitors’. So, if your site drops from a keyword search ranking of #1 to a ranking of #40, you’ll know before your revenue starts dropping, and you can take action to regain your rankings. What Keywords Should I Care About Tracking? You probably already have a good idea of what keywords are most important for your business – if you’re the owner of a coffee shop, you’d be missing out if you didn’t really care about ranking highly for local search keywords like “coffee shops near me”. However, there are a lot of different variants on searches about coffee shops – maybe a potential customer will search for “coffeeshops” or “a coffee shop” or “coffee shop menu” or “find coffee shops nearby” or potentially hundreds of other variants. What about someone searching for the town’s best cappuccino or the best coffee shop for studying? You want to show up for those searches, too. This is where keyword research and SEO come in. When you’re looking to use SEO to improve your site’s search rankings, keyword research is almost always the first project to tackle – why make the effort to improve the keyword ranking position for a search term that no one is searching for? Using keyword research to identify big ranking opportunities is a topic for another day, but if you’ve got questions now, the Leverage Marketing team is always happy to lend a hand when it comes to keyword strategy – we love that stuff. So, let’s say you’ve done your research and put together an awesome keyword list. 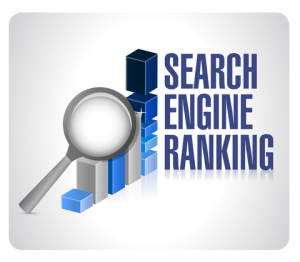 Obviously, with all these search terms you want to show up for, manually searching each term and marking your site’s position regularly would be a miserable and futile task, especially considering that rankings can vary by your exact location and your search history. There has to be a better way to check your Google rankings, right? How Do You Check Your Website Ranking on Google, Bing, and Yahoo? Thankfully for every SEO and business owner’s sanity, there are a lot of ways to check your site’s search engine rankings that don’t involve a week worth’s of time spent on Google. There are so many tools that have been created specifically for this purpose that it often seems like a lot to sift through. Which tools are the real deal? You can choose from keyword search ranking tools that are free or tools that are paid. Keep in mind that you get what you pay for – using exclusively free tools can give you spotty results that don’t always reflect your true rankings that well, though they do come in handy for some uses. Paid tools tend to make it easier to automate keyword rank reporting and usually take some of the legwork out of tracking your keyword rankings so you can sit back and watch your rankings roll in. SERPs: It’s usability as a free tool is limited, but it’s great for spot checking both global and local rankings to see where your site appears for some of your top keywords. Moz: This paid tool has all the bells and whistles you could want in a rank tracking tool, and it can reveal a lot of interesting info about the movement of your site up and down the results pages. Advanced Web Ranking: This tool automates the keyword tracking process so you can relax while thousands of keywords are tracked on regular intervals. Heck, you can even set this to track the movement of your site rankings every single day if you want to! Google Position Checker Tool: Maybe not the most comprehensive keyword checking tool, but it is free and is a great way to get started with rank tracking and find out where your website stands. Want to see what you can get out of keyword rank tracking, but not sure where to start? Sign up for the Leverage newsletter to get more info about maximizing your digital efforts, or get in touch with us today to chat about our SEO services – because we want people to visit your coffee shop just as much as you do. Zoe is an SEO Analyst at Leverage Marketing. An Austin native and University of North Texas alum, Zoe was a member of the UNT Swimming and Diving Team while earning her degree in Marketing. Her skills as a student-athlete leader led her to career experience as a Business Development Manager, after which she sought the creative and analytical challenges of search engine optimization at Leverage. She is an avid cat person, cheese enthusiast, and adventure-seeker, as well as an expert on the unique culture of Austin, TX. Great article! Thanks for the information. I completely agree that most people do not search on the second page of Google. According to what I have read, the well majority of clicks on search engines come from the first three positions. Keep up the awesome work. Hi Michael – thanks for reading!